Luxury is a way of life! 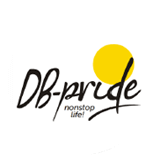 Every single detail of DB Pride have been meticulously planned to make space for every comfort of life and spell luxury in every nook and corner. With grand entrance lobby, cool and airy homes you can enjoy all the luxuriant features you deserve and yet stay far from the hustle-bustle of it all. Added to these is the splendor of the largest sculpture garden in town, grand pergola, convenient parking space, state-of-the-art club house, and a profound sense of privacy. Confluence of pride, lifestyle and joys of life.